Scott Jamieson will take a one-shot lead into the final round of the Alfred Dunhill Championship in Malelane. It is six years since Jamieson claimed his only European Tour title - which also came in South Africa at the Nelson Mandela Championship - but the Scot gave himself a golden opportunity to end his barren spell on Saturday. Jamieson went out in 34 following two birdies and a bogey, then eagled the 11th to significantly improve his position. Three more birdies swiftly followed, but they did come either side of a double-bogey six at the 14th. The Glaswegian led by three shots before David Lipsky finished with back-to-back birdies to move into second place. American Lipsky, who held a one-shot lead going into moving day, signed for a two-under 70 - which also included an eagle and a double bogey. Defending champion Brandon Stone is in the hunt to retain his title on home soil after a bogey-free 69. Zander Lombard is level with his compatriot Stone on eight under following a four-under 68. 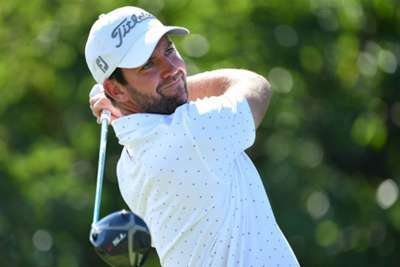 Scottish duo Marc Warren and David Drysdale are a further shot back along with Pablo Larrazabal and Raphael Jacquelin - who shot a brilliant six-under 66.